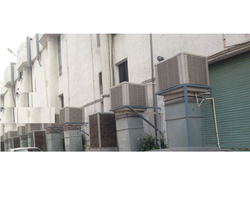 Leading Exporter of turbo air cooler, dry turbo fog, generator room cooling systems, turbo pro cooling system, ventilation system and air washer cooling systems from Chennai. Optimized industrial Turbo Cooling System. The Turbo Air Cooler is very much functional in the most hostile weather conditions. Engineered to perfection, our system brings about a cooling paradise in very little time, at very low power consumption. We promise state of the art cooling technology and a long service life. Adaptable to any structure, Turbo Fog is a fogging line that can be installed in any shape and length. Special imported nozzles are attached at regular intervals along the lines to provide you with a fine cooling mist. Ideal for amusement parks, gardens, gazebos etc. It can be modified for entertainment, advertsising, effects and other similar purposes. 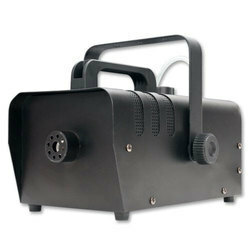 We provide TurboFog as part of the TurboGreen outdoor cooling solutions as well as an off the shelf product. Available in stainless steel and various types of engineering plastics. SunGreen Generator Room Cooling offered comprise dependable cooling solutions that provide support for achieving optimum close control air-conditioning. 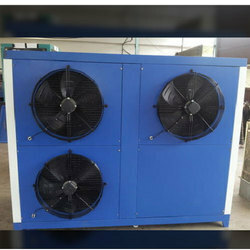 We can offer these in different cooling capacity range as demanded by the customers. Some of its features include also suitable for use in functions like humidification, refrigeration, heating; come with suitable display support; RS485 communication interface for multiple network monitoring; high refrigeration efficiency and energy efficiency; have overheat protection device; large airflow capacity and others. Ventilation System is India’s first wind driven ventilator, which has also been indigenously manufactured for over 2 decades. TurboVENT is the only wind driven ventilator proven, for its unmatched performance and longevity for over 20 years. Precision balanced low inertia head design. Designed and proven to withstand upto 150 Km/hr. winds. Reduces condensation & mild dew. Available in Aluminum and Stainless Steel construction to suit various environmental conditions. Reduced carbon foot prints and also attracts tax benefits. 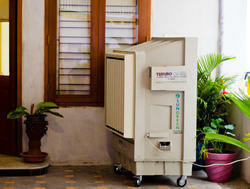 We provide Air Washer Cooling Systems. TurboCOOL is an ideal solution for improving working comfort in the most economical manner. 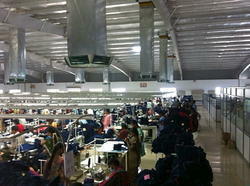 Increase in working comfort translates to increased productivity translates to more profit. 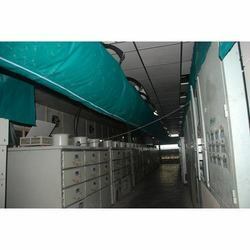 Installation of fans around the industrial space only recirculates warm, stale, contaminated air, which only increases fatigue of the workmen thus affecting the efficiency and also roved harmful to the workmen in time.With turbo cool evaporative cooling solutions, we provide the require working comfort / man cooling to achieve remarkable production valves and finally product quality. With TurboCOOL 100% fresh air evaporative cooling solutions, we design systems to provide spot or zone cooling where working comfort is to be improved in the most optimal and cost effective manner with minimal energy and water consumption. ideal replacement for all your man circulating fans. The operating costs of TurboCOOL system is equivalent to normal fans but the results are almost 5 to 15 Deg Temperature reductions apart from the air changes provided to the workspace. Replace Air conditioning with our precise evaporative cooling solutions. 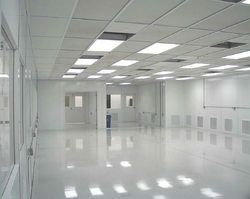 Provide comfort for your commercial spaces, industrial spaces at very low costs. Change the way commercial spaces including showrooms / office spaces are cooled. Provide immense comfort cooling and healthy air in comparison with unhealthy Air conditioners and save upto 90% in operation costs. SunGreen Precise Evaporative cooling solutions are ideally designed for various areas for specific applications and optimum results. We, at the frontier of developing efficient tools, have brought Restaurant Cooling System based on non-toxic and bio- degradable solutions. Being easy to operate, these are good at reducing the ambient temperature and offer various advantages of enhanced air conditioning. These are affordable solutions and highly demanded at our consumer’s end. Turbo Cool Air Conditioning System is our revolutionary air conditioning system that utilizes sustainable technology to provide you cool conditions economically and without using harmful or costly refrigerants. It is a 100% fresh air system. It is also custom designed to suit your requirements. Useful in industrial air conditioning, it contains the Multi-cycle lateral Dry Fog AHU Unit which is the only one of its kind in the world. Capable of reducing temperature by 30 – 40 degrees Fahrenheit lesser than the ambient temperature and providing humidity up to 90% RH according to the precise conditions you require. Turbo Cool is mainly a comfort air conditioning system. It uses a fraction of energy of normal air conditioning systems. Depending on climate and other conditions, Turbo Cool can totally substitute normal air conditioning systems. No more dry, recycled and stale air in your building. 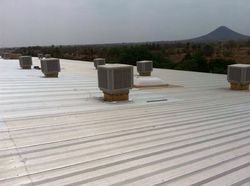 A combination of techniques are used to achieve the optimized solution including displacement ventilation, zoning techniques, maintaining air flow patterns etc and a variety of products including our wind driven roof ventilators –Turbo vent to provide customized results. 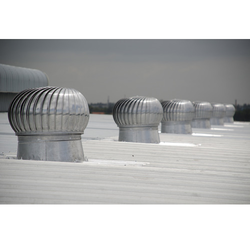 Our systems are flexible enough to provide precise temperature and humidity at a particular spot or zone. Our systems are also flexible enough to incorporate refrigerants for cooling, if your requirements specify the same. Enjoy the outdoors without the dust and heat coming in the way. Turbo Green Patio Cooling System Cools your Poolside, gardens, Terrace, green houses, balcony, lawn, porch etc. A simple way to use your outdoor spaces even in the peak of summer. Again using the TWES principal in your outdoor cooling requirements. 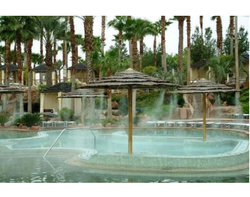 Turbo Green includes misting fans, misting systems, mist cooling systems , misting lines, mist linesetc which are used to custom design an outdoor cooling system perfectly suited for your space. From sports fields to outdoor café’s to resorts, Turbo Green will increase your outdoor space footfalls. It can also be used for humidification, dust suppression and odor control. Make your outdoor area the coolest area with the maximum occupants with the magic of mist cooling. SV has specialization in the field of Turbo Cool Ventilation Systems that comprise of dry fog cooling systems, manufactured from high quality stainless steel and aluminum. The systems that we provide come with the tag and promise of highly durability and resistance to water.